It’s about a fella named Tim DeChristopher verses the United States Government. Hearing this story as a fellow US. Citizen was eye opening. Hearing it as a mother, was heartbreaking and yet invoked a sense of pride. This is an paraphrase from a website called peacefuluprising.org which tells his story better than I can. “From West Virginia, Tim came to Utah in his early 20s to work as a wilderness guide for at-risk and troubled youth. In 2008 as a student of Economics, Tim attended a Symposium at the University of Utah, where he was greatly moved and galvanized by Dr. Terry Root, a scientist for the International Panel on Climate Change and Nobel Peace Prize winner. Dr. Root explained to the audience that elements of the climate crisis were already irreversible and that many species, natural wonders and bioregions were in imminent peril. Her words haunted Tim, and dramatically changed his personal worldview. While Tim was taking his finals, advocates for Utah’s wilderness like Robert Redford and the Southern Utah Wilderness Alliance (SUWA) were attempting to bring attention to a controversial auction of Utah public lands, orchestrated by the outgoing Bush Administration. The auction included parcels adjacent to natural resources like Canyonlands National Park. SUWA and other regional advocates brought a lawsuit against the Bureau of Land Management in efforts to halt the auction pending further review and public comment. Through no fault of SUWA or their allies, the lawsuit could not settle the issue prior to the auction. On December 19th, Tim finished his last final exam and went to the protest that SUWA and others had organized outside of the auction. On arrival and with no prior plan of action, Tim decide to enter the building where the auction was held and approached the registration desk. When asked if he was there to bid, Tim made a quick decision. He registered as Bidder 70 and entered the auction. Tim intended to stand up and make a speech or create some other kind of disruption. Once inside, he waited quietly with his bidder paddle lowered, until he saw a friend from his church openly weeping at the sterile transfer of beloved red rock lands away from the public trust and into the hands of energy giants. It was then that Tim decided to act. At first, Tim simply pushed up the parcels’ prices (some starting as low as two dollars per acre, and were ultimately sold for $240 per acre). Once almost half of the parcels had been sold to oil and gas companies, Tim felt he could no longer bear to lose any more public lands. Tim bid on and won every remaining parcel, until he was recognized as an outlier and escorted from the auction. Once it was revealed that Tim did not have the intent or the means to pay for the parcels he won, the auction erupted in chaos. Because Tim won so many parcels and inflated the prices of so many others, the auction had to be shut down. The incoming administration took office before the auction could be rescheduled. Upon review of the parcels in question, Secretary of the Interior Ken Salazar dismissed the auction, declaring that the BLM had cut corners and broken many of its own rules, including a crucial statute requiring all federal agencies to take the impacts on our climate into account prior to auctioning off public lands for the purpose of energy development. Tim’s action garnered a great deal of media and public attention, and catalyzed an overwhelming influx of support and applause for his creative, effective, and nonviolent act of civil disobedience, which ultimately safeguarded thousands of acres of Utah public lands. Although Utah’s public lands were safe, Tim’s action on December 19th radically changed the course of his life. After the current administration decided to indict Tim, despite the confirmed auction’s illegality, Tim took his message to the widest possible audience to bring attention to the desperate need for effective action to combat the climate crisis. Despite the multiple rescheduled dates, climate activists, organizers, and advocates from all over the country came to Salt Lake City for Tim’s trial to demonstrate their solidarity with a brave young man willing to offer up his own future to fight for the future of our planet. On March 3, 2011, after hours of jury deliberation, Tim was convicted of two federal felonies: one count of false representation, and one count of violating the Federal Onshore Oil and Gas Leasing Reform Act. After his sentence was issued, Tim was removed immediately from the courtroom and taken into the custody of federal agents. 26 people were arrested outside the Salt Lake City courthouse, and 26 solidarity actions happened at federal courthouses throughout the United States. Rulers rise and fall. Our elegance is not to a government system but to do justly, love mercy and walk humbly with our God. We are thankful and inspired by Tim’s willingness to sacrifice for the good of us all. We are thankful to share in the woes and the joy. 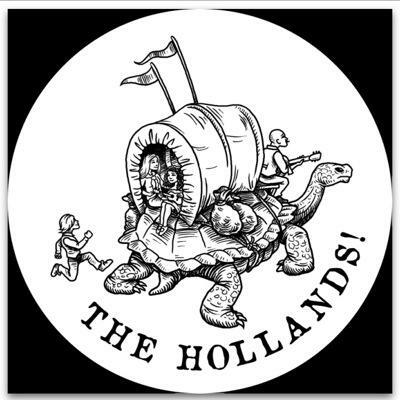 “Those people are your people are my people are you people are us people!” ~The Hollands!